The International Chamber of Commerce (ICC) is pleased to announce the appointment of Christian Daniel Kaeser as the new Chair of the ICC Commission on Taxation. Having served as Vice-Chair since March 2013, Mr Kaeser will take over from Theo Keijzer who has served as Chair of the commission since June 2010. Mr Kaeser is the Vice-President and Global Head of Tax at Siemens AG, where he is responsible for managing and coordinating Siemens’ national and international tax affairs. In addition to his role at Siemens, Mr Kaeser serves as a Vice-Chair of the Tax Committee of the Federation of German Industries. Furthermore, he is the President of the German International Fiscal Association (IFA) Branch. He is also Chairman of the supervisory board of WTS AG and a member of the faculty of the Institute for Austrian and International Tax Law at the Vienna University of Economics and Business. Mr Kaeser will take over the reins from Mr Keijzer at the commission’s next meeting set to take place in Paris on 27 March 2014. 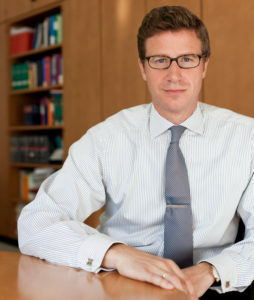 Under Mr Keijzer’s leadership, the Commission on Taxation has produced a number of key policy documents and further enhanced ICC’s relations with intergovernmental organizations including the United Nations, the European Union and the Organization for Economic Co-operation and Development (OECD). “Only a decade ago, tax was a black box issue; not of interest to anyone outside the tax profession. Now, the topic of taxation has caught the attention not only of politicians but of the public at large,” said Mr Keijzer. The ICC Commission on Taxation analyses developments in international fiscal policy and legislation and puts forward business views on government and intergovernmental projects affecting taxation. As Chair, Mr Kaeser will ensure that the commission provides a forum to share insights on timely developments in the field of international taxation and establishes global consensus policy positions on behalf of the business community to help foster the international tax and investment environment. The commission currently comprises over 130 international tax experts from all sectors of business and private practice, including representatives from some of the world’s leading companies and tax consultancy firms.